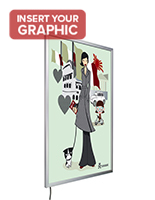 Media Size: 16" x 20"
18" x 24" 20" x 30" 22" x 28" 24" x 36" 27" x 40"
30" x 40" 36" x 48"
Order soon! 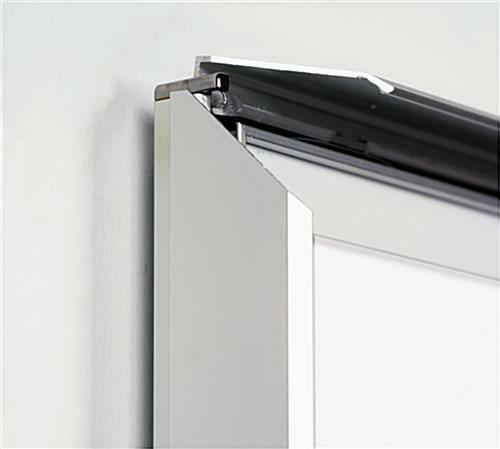 Only 1 unit left. 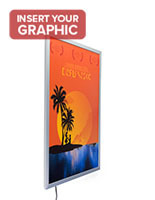 These silver LED lightboxes display 16" x 20" graphics and can be mounted on walls either horizontally or vertically. 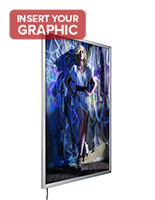 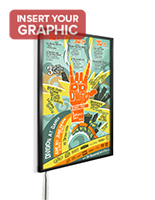 The snap frames have a average 4000+ LUX rating that makes any promotional graphic easy to see from a distance. 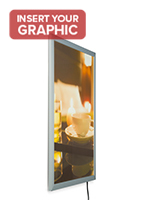 Each of the LED lightboxes has light guide panel that evenly distributes illumination for a professional presentation. 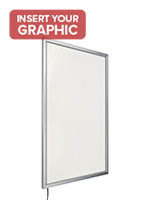 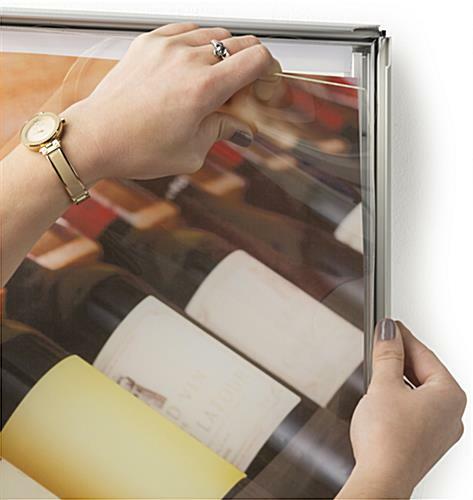 This type of snap frame is made of durable aluminum and includes a clear PVC lens for protecting graphics. 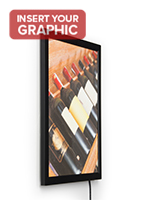 The snap frame lightboxes make use of light emitting diodes for energy efficient display. 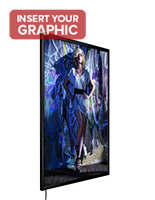 Additionally included with the illuminated mounts is a 60" long power cord. 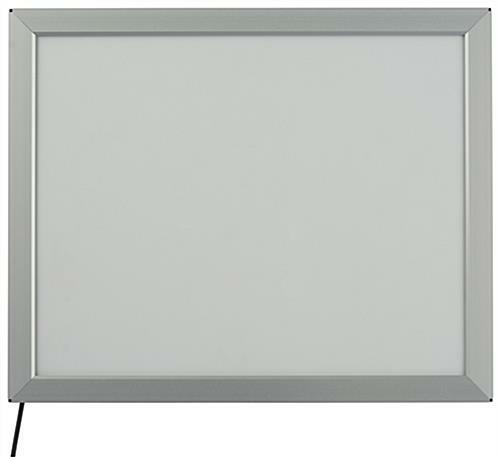 17.8" x 22.0" x 0.75"